Fujifilm Holdings Corporation (富士フイルム株式会社, Fujifuirumu Kabushiki-kaisha), trading as Fujifilm (stylized as FUJiFILM), or simply Fuji, is a Japanese multinational photography and imaging company headquartered in Tokyo. Midtown West, the current global headquarters of Fujifilm in Tokyo. Fujifilm's principal activities are the development, production, sale and servicing of business document solutions, medical imaging and diagnostics equipment, cosmetics, regenerative medicine, stem cells, biologics manufacturing, optical films for flat panel displays, optical devices, photocopiers and printers, digital cameras, color film, color paper, photofinishing equipment, photofinishing chemicals, graphic arts equipment and materials. Former Fujifilm logo. The "Fuji" logo on the left was introduced in 1980, while the "Fujifilm" wordmark on the right was introduced in 1992. Both were replaced with the current logo in 2006. Like its rival Eastman Kodak which dominated in the US, Fuji Photo enjoyed a longtime near-monopoly on camera film in Japan. By becoming one of the title sponsors of the 1984 Los Angeles Olympics (an opportunity that Kodak passed on), offering cheaper camera film, and establishing a film factory in the US, Fuji gained considerable market share there, while Kodak had little success in penetrating Japan. 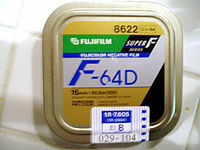 In May 1995, Kodak filed a petition with the US Commerce Department under section 301 of the Commerce Act arguing that its poor performance in the Japanese market was a direct result of unfair practices adopted by Fuji. The complaint was lodged by the US with the World Trade Organization. On January 30, 1998, the WTO announced a "sweeping rejection of Kodak's complaints" about the film market in Japan. The new millennium witnessed the rapid spread of digital technology, and demand for photographic films plunged in line with the growing popularity of digital cameras. In response, Fuji Photo implemented management reforms aimed at drastic transformation of its business structures. Even as early as the 1980s, the company had foreseen the switch from film to digital, so "it developed a three-pronged strategy: to squeeze as much money out of the film business as possible, to prepare for the switch to digital and to develop new business lines." While both film manufacturers recognized this fundamental change, Fuji Photo adapted to this shift much more successfully than Eastman Kodak (which filed for bankruptcy in January 2012). 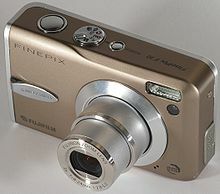 Fuji Photo's diversification efforts also succeeded while Kodak's had failed; furthermore Kodak built up a large but barely profitable digital camera business that was undone quickly by smartphone cameras. On January 31, 2018, Fujifilm announced that it would acquire a 50.1% controlling stake in Xerox for US$6.1 billion, which will be amalgamated into its existing Fuji Xerox business. The deal was subsequently dropped after intervention by activist investors Carl Icahn and Darwin Deason. Fuji Xerox is a joint venture between Fujifilm and Xerox Corporation of North America. Fujifilm bought Sericol Ltd., a UK-based printing ink company specializing in screen, narrow web, and digital print technologies in March 2005. Fujifilm de México is a Fujifilm subsidiary in Mexico that sells Fujifilm products since 1934 and has been recognized as one of The Best Mexican Companies (Las Mejores Empresas Mexicanas) from 2012 to 2015, a recognition promoted by Banamex, Deloitte México and Tecnológico de Monterrey. 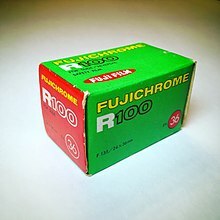 Fujichrome color reversal (slide) films. Velvia: one of the most saturated and fine-grained slide films, valued by nature and landscape photographers. Sensia: a low-contrast consumer slide film; the current emulsion is considered to be identical or near-identical to Astia in the professional line. Fortia: consumer slide film, featuring extremely vivid color rendering suitable for flower photography and other high-saturation applications (for Japanese market). Press: Cut from the same emulsion stock as Superia, but cold stored and sold as a professional film. Fuji Neopan Professional black & white negative film. As a side note, Neopan 400 and 1600 were designed to use the same developing times, and can be developed in the same tank/machine and developer combination simultaneously. ACROS and SS do not share this feature. Fujifilm X-mount compatible Mirrorless interchangeable-lens cameras like the X-Pro1, X-A1 etc. Photostimulable Phosphor Plate - X-ray film. Instant camera Fujifilm Instax SQUARE SQ10. Instant camera Fujifilm Instax 210. Fujinon GF 32-64 mm F4 R LM WR lens. Fujifilm products in a film vending machine in Japan. ^ a b c d e "Fujifilm Annual Report 2017" (PDF). Retrieved 2018-02-22. ^ a b c "Technological change: The last Kodak moment?". The Economist. 2012-01-14. Retrieved 2014-02-07. ^ "The Kodak - Fuji Rivalry |Business Strategy Case Studies|Business Strategy Articles". Icmrindia.org. 2013-11-14. Retrieved 2014-02-07. ^ "Fujifilm acquires Xerox for $6.1 billion". Ars Technica. Retrieved 2018-02-01. ^ Shirkey, Alec (2018-01-31). "A Giant Is Born: Fujifilm Deal Allows Xerox To Make Inroads Into Asia-Pacific Print Market, Bolster Next-Gen R&D Efforts". CRN. Retrieved 2018-02-01. ^ Shirkey, Alec (2018-01-31). "Fujifilm Buys Controlling Stake In Xerox, Creating An $18 Billion Printer Industry Behemoth". CRN. Retrieved 2018-02-01. ^ "Xerox drops Fujifilm deal in settlement with Carl Icahn". CNBC. Retrieved 2018-05-15. ^ "Empresas Reconocidas - Las Mejores Empresas Mexicanas". Mejoresempresasmexicanas.com. Retrieved 2016-06-13. ^ "Fuji Astia 100F Slide Film Review". Nathangriffin.com. Retrieved 2014-02-07. ^ "Awards：GOOD DESIGN | 富士フイルムのデザイン". design.fujifilm.com. Retrieved 2015-12-29. 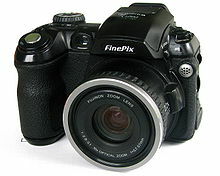 Wikimedia Commons has media related to Fujifilm.